String garlic by the window and hang a cross around your neck The most powerful vampire of all time returns in our Stepping Stone Classic adaption of the original tale by Bran Stoker. Follow Johnathan Harker, Mina Harker, and Dr. Abraham van Helsing as they discover the true nature of evil. 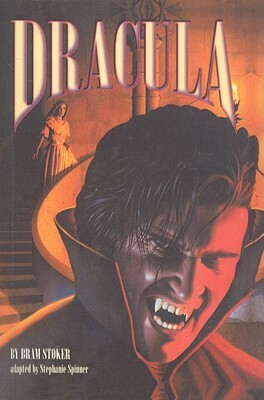 Their battle to destroy Count Dracula takes them from the crags of his castle to the streets of London... and back again.